Last week was a step back in time. My mom and sister Debra joined me on a roadtrip to Illinois. Final stop, Beecher City, population 500. 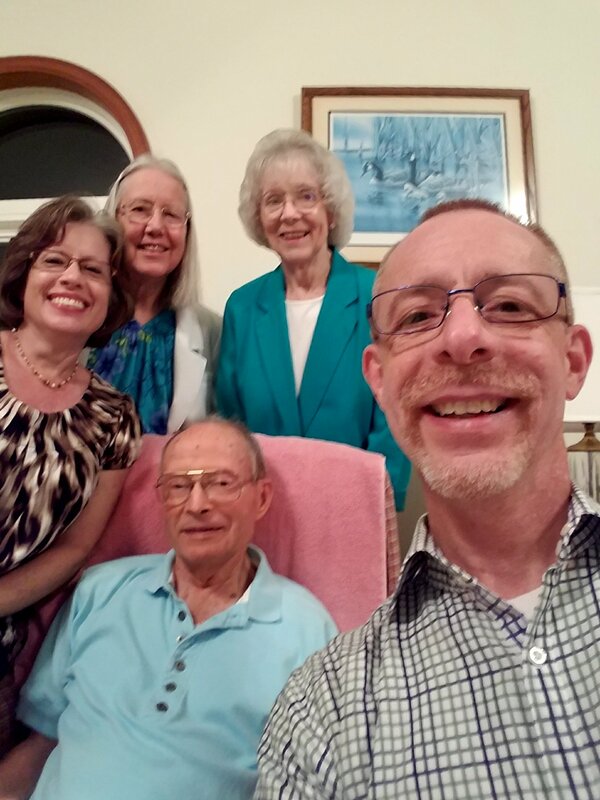 This was a delayed 80th birthday trip for my mom to visit her twin sister and brother-in-law. Last time I was in Beecher City was probably before I started kindergarten. What would I know, but it appears not much has changed. For instance, to our surprise at the gas station, we received full service. I can’t remember ever receiving that. Anywhere. We enjoyed the disconnect from the rest of the world for a few days. My mom and aunt enjoyed seeing the home they grew up in (cover photo above) and their high school and even catching up with classmates from their elementary one-room school classmates. A taste of yesterday. In this place. A meaningful week to start a sabbatical month.